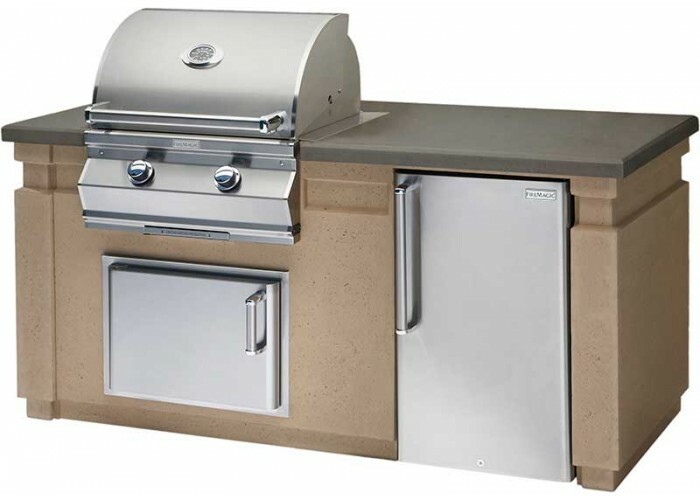 Island Dimensions, Including Countertop: 76 1/4" Wide x 34 3/4"
PRICE DOES NOT INCLUDE EQUIPMENT. INCLUDES BASE AND COUNTERTOP ONLY. 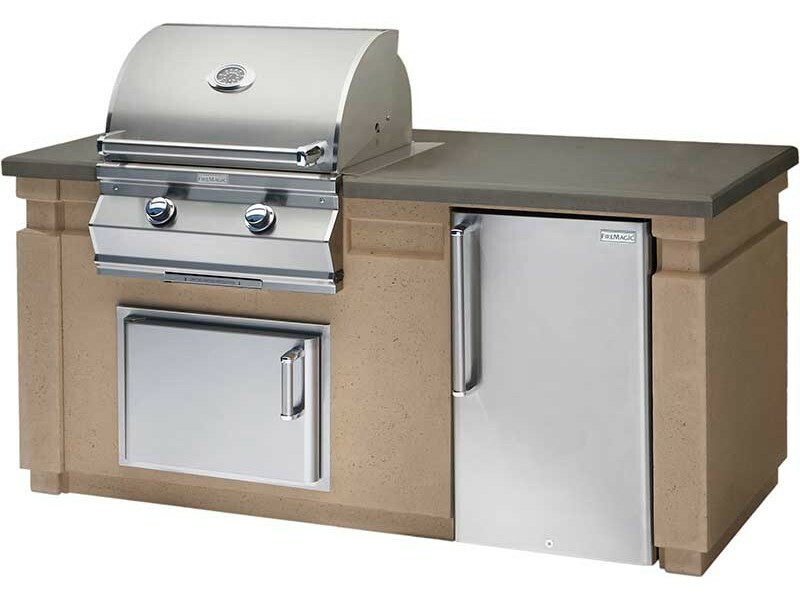 SEE FIRE MAGIC GRILL AND DOOR OPTIONS.